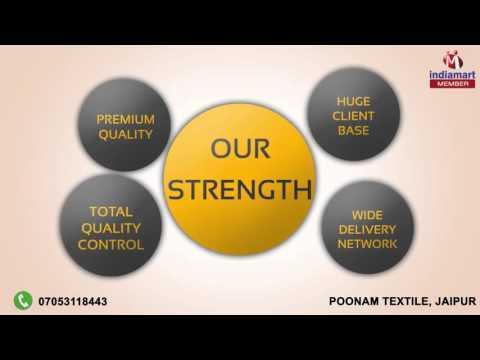 Poonam Textile, are a prominent organization, engaged in manufacturing, supplying and wholesaling a comprehensive range of Designer Kurtis. The range offered by us constitutes Border Kurti, Printed Kurti and Coloured Kurti. Our offered assortment is manufactured with the help of state-of-the-art machinery and technology that is established at our infrastructure facility. In addition, the fabrics, yarns and fibres used in the manufacturing process are obtained from reliable vendors of the industry. Moreover providing customization facility for these products, we have assembled large client-base. Connecting a vast distribution network, we are able to dispatch our product-line to the customers premises in committed time-period.